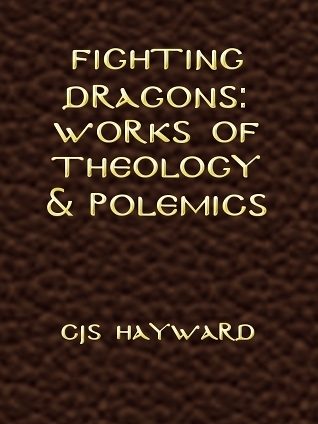 Since my involvement with Dungeons & Dragons, I wrote a Christian role playing game, The Minstrel’s Song, before writing Exotic Golden Ages and Harmony with Nature: Anatomy of a passion and moving away from role playing games. When I played Dungeons & Dragons in high school , one of the cardinal rules surrounded alignments: “Lawful Good”, “Neutral Good”, “Chaotic Good”, “Lawful Neutral”, “True Neutral”, “Chaotic Neutral”, “Lawful Evil”, “Neutral Evil”, and “Chaotic Evil”. Each of these alignments was quite different from each other, but there was a common undergirding: no matter what alignment you play, you pick a course of action and you stick with it. You may be a hero or a villain; you may be believe in organized cooperation or the power of the individual, but whatever your choice may be, you are shirking due diligence as a role playing gamer unless you pick a course of action and stick with it. Except for one exception. “Chaotic Neutral” isn’t exactly a matter of picking a course of action and sticking it with it. “Chaotic Neutral” role play can be described as “You can do anything you want, as long as you don’t do it twice,” and it is the closest alignment to acting like a hero one day and a villain the next. It has a bad reputation among gamers, perhaps because it disproportionately draws gamers who want to dodge proper handling of one cardinal aspect of game play, and quite possibly may dodge due diligence in other areas as well. And the Western Rite seems in large measure to be the “Chaotic Neutral” of Orthodoxy. Q: Why do some Protestants keep trying to reconstruct the ancient Church? If you are trying to understand Protestant Christianity, one of the key features you should understand is the “Great Apostasy”, even if the term is unfamiliar to many Protestants today. Today the Internet is in working order, and regardless of what may happen in the future, it would be a strange thing to seek out venture capitalists now to help fund the great endeavor of reconstructing the Internet. It doesn’t make sense to “reconstruct the Internet” unless the Internet is dead, which it isn’t. And it also doesn’t make sense to try to “reconstruct the authentic ancient Church” unless the ancient Church died and left no surviving continuation into our day. Q: And why does the Western Rite keep trying to reconstruct Western Orthodoxy? The Western Rite’s project does make some sense here: the Western Church did in fact go through a Great Apostasy, and while I have never heard someone from the Western Rite find a Great Apostasy and say that the Orthodox Church has died out in Antiochian, Greek, Russian, Serbian, Georgian, etc. living Tradition, none the less it is not a provocative thing to say that the West was once canonically Orthodox and has ceased to be that. But in my conversations with Western Orthodox and what I have read, the plumbline of Orthodoxy is always a Protestant-style reconstruction of Western Orthodoxy from the time the West was Orthodox. Hence one asserts, for instance, that the vestments used follow the pattern of the time when East and West wore the same liturgical vestments, before the East changed. And this is not an isolated example; things keep coming up where the offered reason for a decision is that this is closest to what historical lessons tell us things were like in the ancient Church. It is a Protestant tune that is foreign to non-Western Rite Orthodox, and it keeps coming up. One thing that concerns me is that Western Rite Orthodox are by and large not former Roman Catholics, but former Anglicans: one who understood Roman Catholicism and Anglicanism would be much more wary of former Anglicans practicing the Western Rite than former Romans. But let us waive that aside. One point of spiritual danger for converts to the Orthodox Church is to overly associate with other converts from the same place, an arrangement that seems to invite subtle regressions to how the former confession places things. I have heard friends commenting how an Orthodox group of former Catholics was getting a bit unhealthy, and I have seen it in a mailing list of former Evangelicals. The Western Rite is largely a group of former Anglicans, and subtle (and maybe not-so-subtle) bits and pieces of Anglicanism seem to keep cropping up. Must I adopt a foreign culture? Christ did not invent baptism, nor did John the Baptist. Baptism was practiced in Judaism for the reception of non-Jewish pagans into Judaism: it was bringing in someone who was unambiguously portrayed as an outsider. What Christ did that was distinctive was to say that baptism is for everyone, Jew as much as Greek pagan. We all start outside. The introduction to Bishop NIKOLAI’s Prayers by the Lake speaks of “the Christ-fighting Slavic soul”: Russians and Serbs need to swim upstream. And I remember a discussion with one Serb on Facebook who was a devout Orthodox and corrected my assumption that he had grown up in Orthodoxy: he grew up an atheist and learned that the giants of Serbian history were all Orthodox, and then discovered something much bigger than nationalism when he discovered Holy Orthodoxy. One of the differences between Catholicism and Orthodoxy is that in Catholicism, philosophy and culture can be swapped in and out; Thomism is is a usual standby but Patriarch JOHN PAUL was a phenomenologist. In Orthodoxy, however, philosophy and culture are not something you change like a garment, and the Orthodox Church in its way keeps alive philosophies and cultures long after the West apostasized. Today’s Western culture boasts a millenium of apostasy and is scarcely closer to tenth century England than it is to present-day India. If you’re going to aim for what Western culture was when it was still Orthodox, you have at least as far to go as if you join an Orthodox Church and start to absorb its culture along the way. And not to put too fine a point on it, but former Catholics and Protestants can only enter the Church as reconciled heretics; we may wish it were some other way, but former Anglicans (among others) are reconciled heretics who particularly need to submit to the Church as one shaped outside of her ways.